Single and multi-lip structures, continuous glue structure. Special high strength, air tightness and resistence against creep. Used in automobile engine crankshaft, traversing mechanism, air compressor, refrigeration equipment and other machinery. It can be applicated in the environment of high temperature, high rotational speed and multi chemical liquid medium to seal water, alkali, acid, etc. Zhejiang Shangyu Oil Seal Co.,Ltd is a leading China ptfe oil seal manufacturer and supplier, our ptfe oil seal factory can provide customoers cheap ptfe oil seal products. 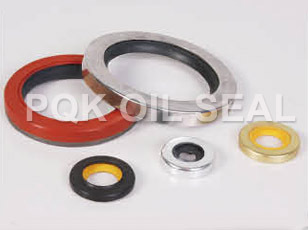 Welcome to buy discount ptfe oil seal or wholesale products from us.